These pages were last updated on March 12th, 2008. Please check out the What's New Page for locations of new info and images! Major Matt Mason is the main character of an outer space toy line released by Mattel late in 1967 as Major Matt Mason, Mattel's Man in Space. The line featured rubber bendie-type astronauts (via internal wires like Gumby and Pokey) in suits that resembled those worn by Mercury and Gemini astronauts. Major Matt Mason toys incorporated a lot of scientific speculation (mostly from NASA or NASA licensed research agencies) about space exploration into its design. As the line progressed and interest in the "space race" waned, more science-fictional elements were added. Major Matt Mason toys could be found on store shelves well into the mid 70's (though the line had been discontinued by that time except in foreign markets). The final appearance of Major Matt Mason in the US was in the Mattel Toys Spring 1971 Catalog. The Shogun Warriors toy line was Mattel's attempt to capitalize on the wave of Japanese cartoons being picked up in the late 70's for syndication (such as Star Blazers, Speed Racer and the like). Released in conjunction with the Shogun Warriors comic books published by Marvel, Mattel hoped to capture the imagination of the comic book reading audience (not to mention the wallets and pocketbooks of their parents!). Because the toys were already in production in Japan by Popy (a Bandai spin-off), it was a simple licensing deal to repackage the toys and offer them to the US market. The 24" Shoguns were truly massive toys, giving the appearance of Giants in comparison with the then current action figures (most measured 3-4 inches). The die-cast line gave Americans their first taste of wonderfully detailed, articulated Japanese toys (a far cry from the cheap "Made in Japan" toys from decades earlier. The Zeroids were created in 1968, when Ideal Toys came up with a use for all the slow motors that had been produced for Motorific trucks (which appears to be a flop...who wants to race a truck around a track? Now the trucks are some of the hardest vehicles to find!). Someone at Ideal came up with using them in robots and the Zeroids toy line was born! The Zeroids were plastic robots that could be propelled forward and backward by treaded wheels powered by those slow truck motors. Distinctive identities for each robot and a creative background (the planet Zero and it's inhabitants) produced some very cool plastic robots (every kid in the late 60's either had or wanted one!). Interchangeable hands for a variety of uses and a cool storage case that doubled as a play vehicle or base provided an instant play set for hours of fun, right out of the box! 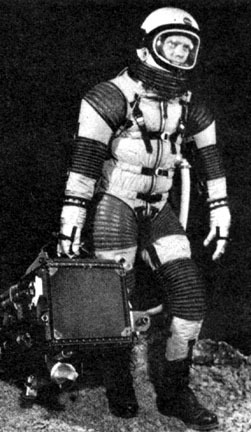 The Moon Suit Page is a little off the beaten path and not really a toy, here's my contribution to the web about a little known footnote in the exploration of space...the Moon Suit. Not to worry, I tie the Moon Suit into the rest of the site towards the end by showing examples of toys spun-off from its design...including the Major Matt Mason Moonsuit! The Real Toy Story was aggregated from contributions by real users, published to Distribution Lists and detailing actual experiences, the Real Toy Story section of my site tells a tale of the collectors obsession. Here's a repository of information on why many of us collect our favorite toy lines. Mostly taken (with permission) from the Major Matt Mason distribution list and from email's I have personally received, this is mostly a journal of obsession. Have some old toys from the 60s or 70s that you want to get rid of? Let me make you an offer on whatever you have before you throw that stuff away (I may know someone who is looking for the ONE toy that you have and don't care about!). Have something that you don't want but see something (on my page) that you do? Let me know and maybe we can make a trade (just like we used to when we were kids!). I love to trade, even for stuff I don't collect if it's cool (especially from the 60s). Looking for a particular toy and have almost given up on finding it? E-mail me and maybe I can find it for you. No, that famous chimp isn't behind this link, rather it's a page devoted to all the places I've found on the web that interest me. Toys, movies, comics, giant monsters and just plain weird are all represented. Check it out the next time Futurama is a rerun! Most of the links are dead, however each of these plus some others were awarded this site over the years.